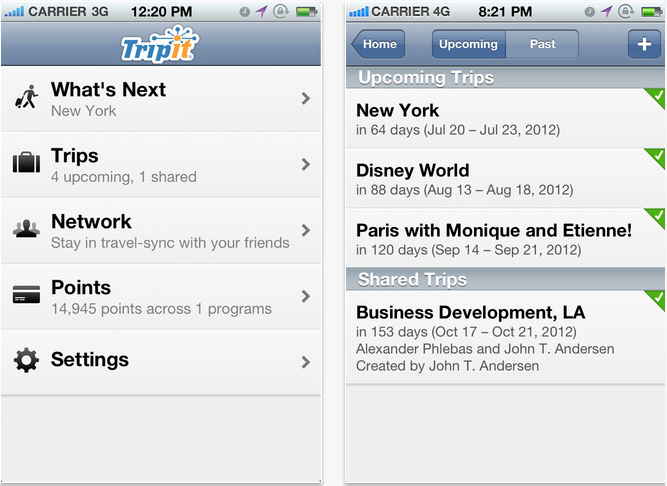 Trip it a travel app has been updated for ios devices. “Now, it’s much easier for travelers with an iPhone, iPad or iPod touch to easily find places to go near their hotel or a meeting and keep them organized alongside all their other trip plans.” said Nancy Ramamurthi. 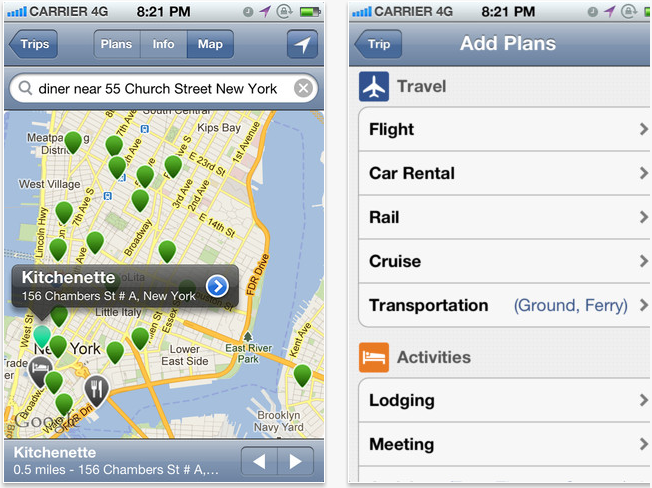 New update includes adding, editing and deleting your trip plans. Gone are those days when you have to search for parking at Airport or arrange your trip plans. Trip It travel app make everything easy for you. First of all it offers you an easy way to fid your destination like if you want to go to restaurants or any place, it provides you better option for that to plan your trip. You can view your trip plans and synchronize it with calendar. After your conformation you can send it to @tripit.com it recognizes your reservations from 3000+ booking sites. “We’re always looking for new ways to provide a helping hand on the road,” You can also snap a photo and attach to your flight information. Photos are used to claiming tickets, receipts, hotel room number or many more. Other update includes map feature that allow displaying map of your particular destination like restaurants, pharmacy near hotels. With just a single click you can find map of your location nearby. It also assists you for point-to-point navigations. The TripIt app is available for free from the App Store on iPhone, iPad and iPod touch or at www.itunes.com/appstore. Trip it amongst top 10 travel apps is available for both iOS and Android. Download for free. Click here for ad-free version is also available for $3.99. Google at I/O conference in San Francisco on Thursday announced two of its app Chrome Browser and Google drive for iPhone and iPad. It’s also revealed that Google+ is also coming soon on iPad. Google also revealed its Nexus tablet. Addition of its Google Chrome Browser for ios means now Google users get experience of multiple devices like iPhones and iPads. This means tabs that you open in computer can be accessed on Chrome browser on your smart phone. Developers can build voice recognition in Chrome apps. They can give commands to their apps without touching or typing. “Chrome for iOS provides the same fast, secure and stable web browsing experience you’ve come to enjoy when using Chrome on your desktop while also adapting to platform specific technical specifications,” Google said. 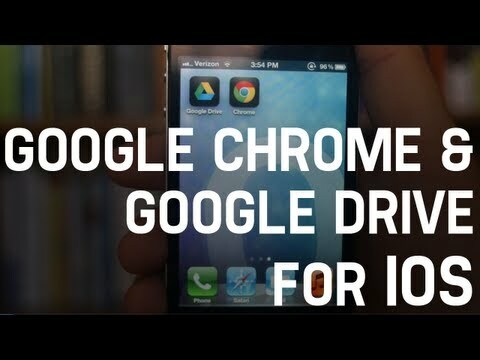 Brian Rakowski, vice president of Chrome, showed how the browser will work on ios devices. Drive service lets people to share and store documents. “We brought many of the best features of Drive to mobile,” said Clay Bavor. Best feature include images can be scanned and stored as pdf files in Google drive. With Google search you can search them. Like picture taken at River rafting can be stored in Google drive and you can search by “River rafting” and Google tech recognize picture. This capability is now available for word documents and later for spread sheets and presentations. Google is also working for sync of Google Drive documents between different devices and share your work with your friends regardless of device used. Developers can now design their apps to send faxes, and send and receive documents, using Drive. 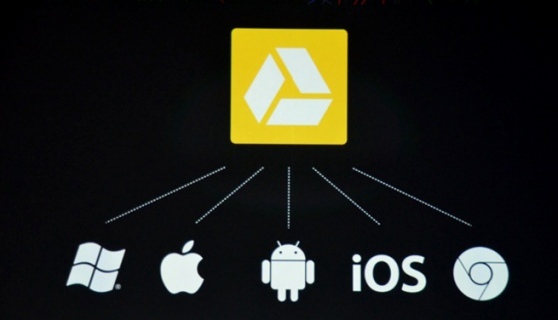 Google says that more than 10 million people began using Google Drive in just over 10 weeks after its release. 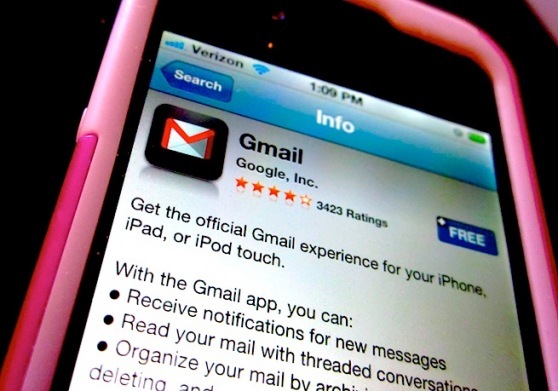 After a long wait Google updated Gmail app for ios. Actually it was a requirement because when Gmail for ios released it was a mess. Various key improvements like software Updations are done. Biggest improvement is done in field of its “Notification” Center. 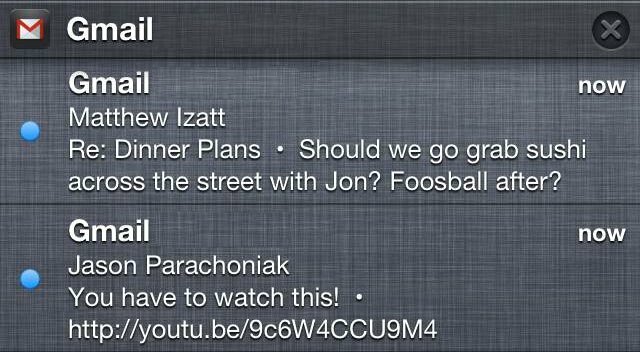 With this update you can now see your messages via banners, alerts on lock screen that hits your Gmail screen. These notifications are faster. Also login period is improved. “Plus, notifications are now incredibly fast – up to 5x faster than in the previous version,” Jason Parachoniak, a Google software engineer said. Secondly you can use your alternate email for sending message. “If you have configured alternate sender addresses in Gmail on your desktop under Settings->Accounts->Send mail as you will see from: option when composing new messages in the app,” Parachoniak said. This app automatically won’t log you out after certain period. Earlier with the Gmail app you can read your mail with threaded conversations but all that mess has been updated. You can download updated app for ios!! !